Designed for the Raspberry PiZero our LoRa(TM) Expansion Board brings the ability to use the popular LoRa(TM) modules on the PiZero. Supplied with suitable header and standoffs.The board allows you to select the module on either CE0 or CE1 depending on the location of the switch. The board has LED's for link and data. 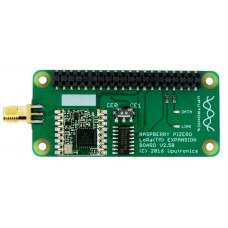 You can stack 2 of these boards (with different CE selections) on one PiZero. Supplied with a 2x20 way 4.93mm header and 2 standoffs for secure attachement to your Pi. Please see associated items for suitable antennas, stacking header kits. 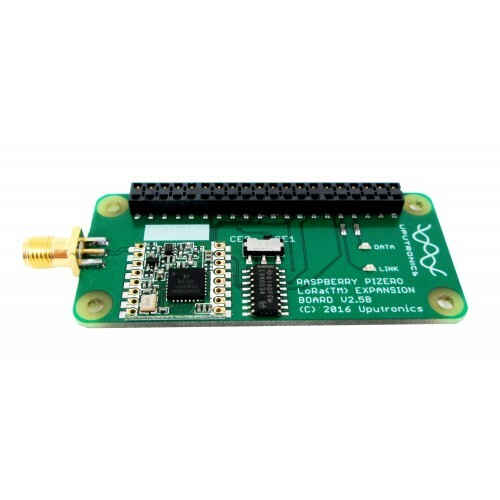 The RFM95/98W transceivers feature the LoRa(TM) long range modem that provides ultra-long range spread spectrum communication and high interference immunity whilst minimising current consumption. These modules are sold as components and are not CE Compliant as they don’t have a specific application. The end user of these modules will need to submit their final product to get CE certification. They are intended for engineering, research or lab use only not for use in production or commercial systems. This products should be used only in testing environments and at your own risk and discretion. 11mm Stand off kit for Raspberry Pi+2 x 11mm nex stand offs + 4 M2.5 screws for Raspberry Pi.Compati..
2 x 12mm male/female hex stand off with a extended tail (10mm) header.Compatible with all our addon ..
Gain: 2dBiVSWR: <1.5Power: 100 WInput Impedance: 50 ΩLength: 434MHz 50mm 868MHz 40mm 915MHz 50mmP..